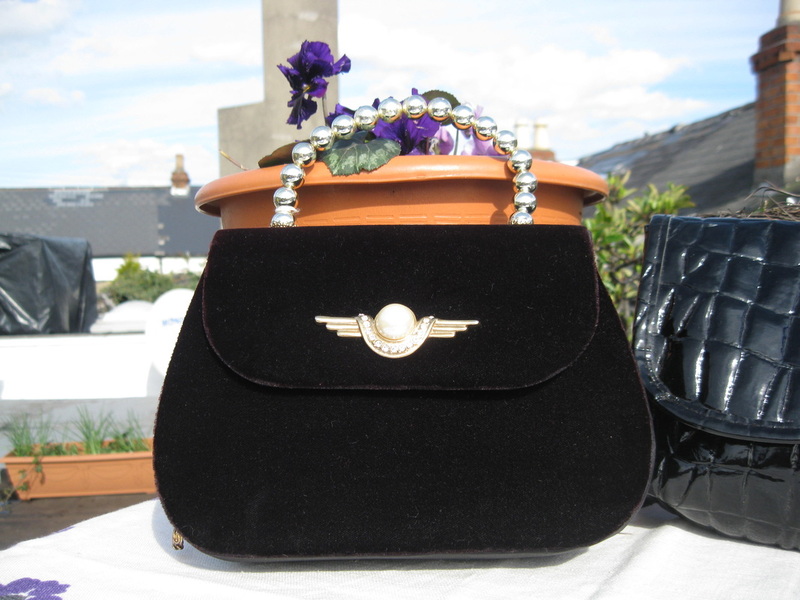 Vertigo Vintage has BAGS of Style! 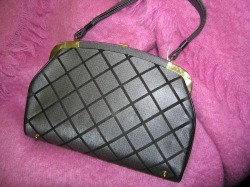 Handbags got to love em! 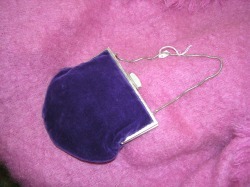 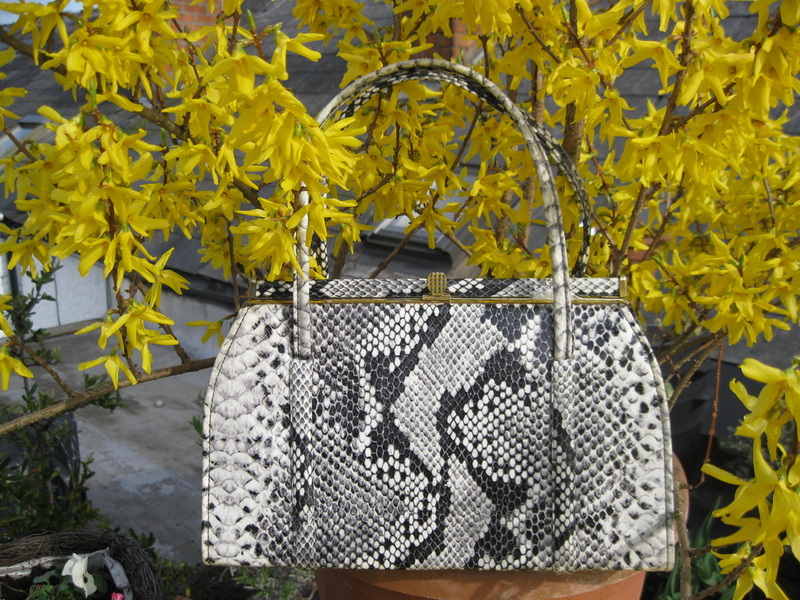 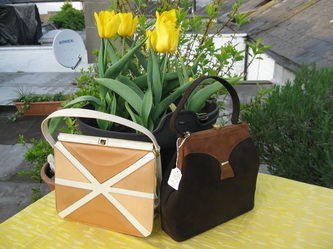 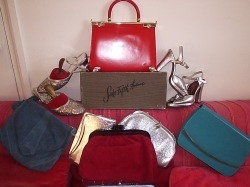 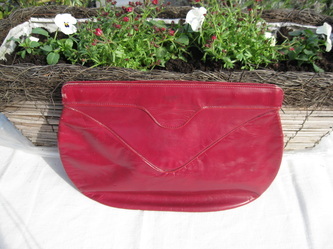 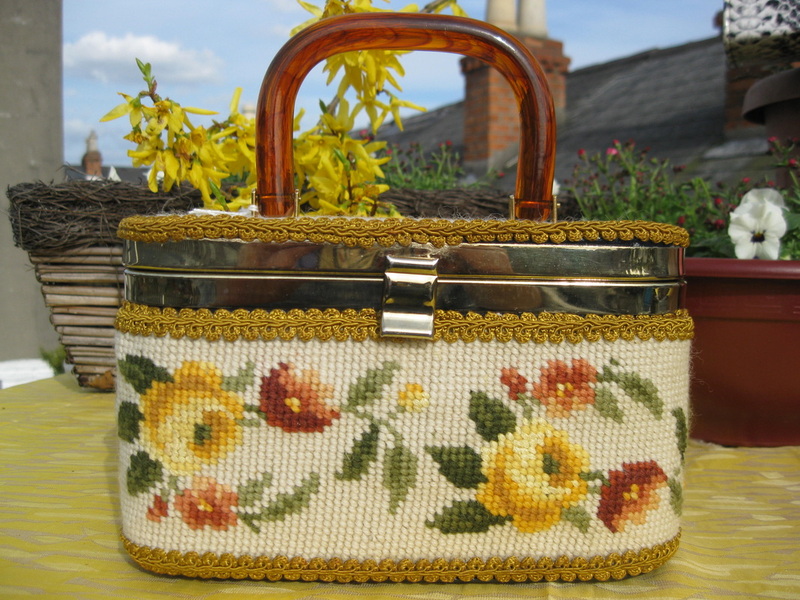 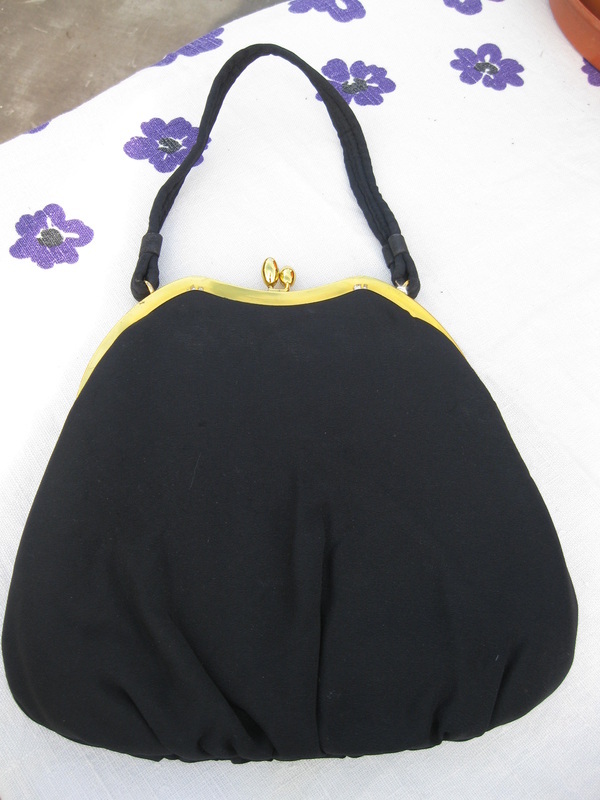 For new vintage fans start off on your vintage love affair with a fab vintage handbag. 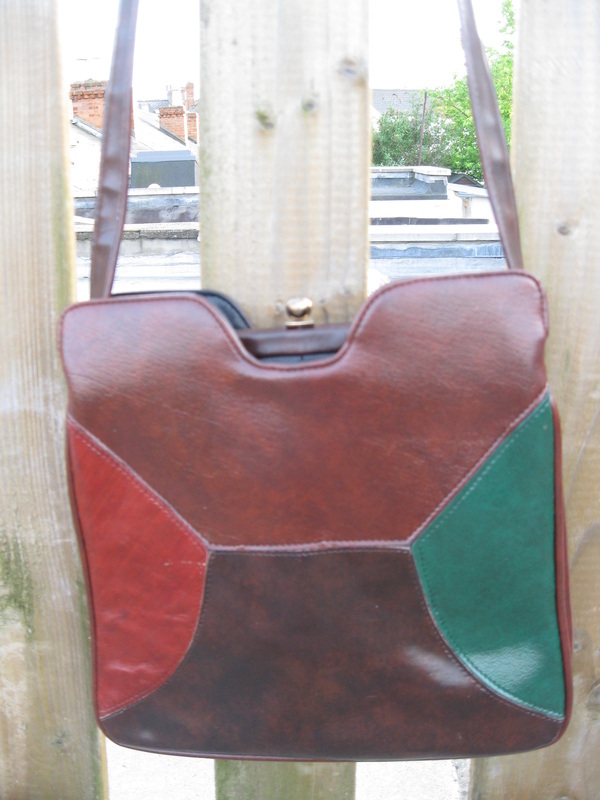 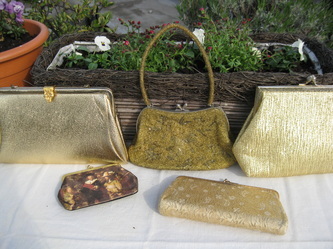 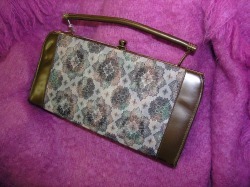 Here at Vertigo we have a wonderful array of handbags from the 1930's to the 1980's! 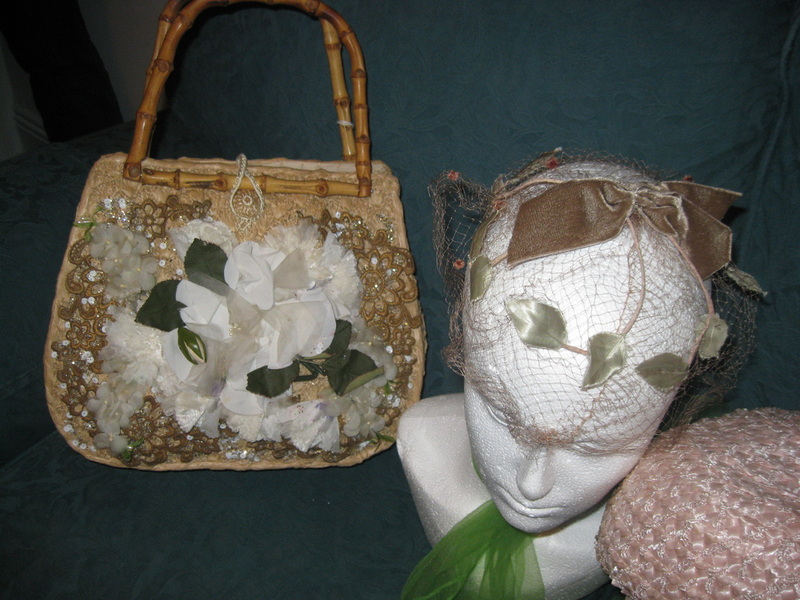 Improvements in plastics and synthetics during the 2nd World War benefited fashion. Plastic handles and frames became popular with the scarity of metal and leather. 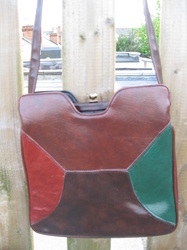 1940's vogue commented; “better a good plastic than a poor leather”. 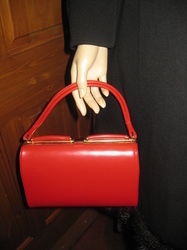 Small clutch bags came into fashion in the late 1940's with Christian Dior's New Look but took a while to become mainstream as many women could not afford the new look and had to make do in post-war clothes rationing. 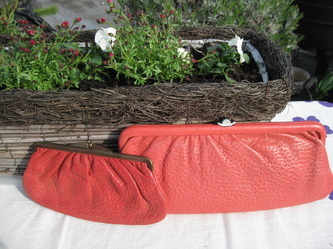 By the 1950's the clutch had become a fashion staple which has never gone out of vogue. 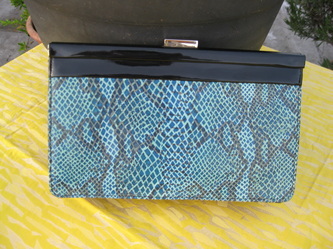 1950's clutches were often teamed with matching shoes a look which resurfaced in the 1980's. 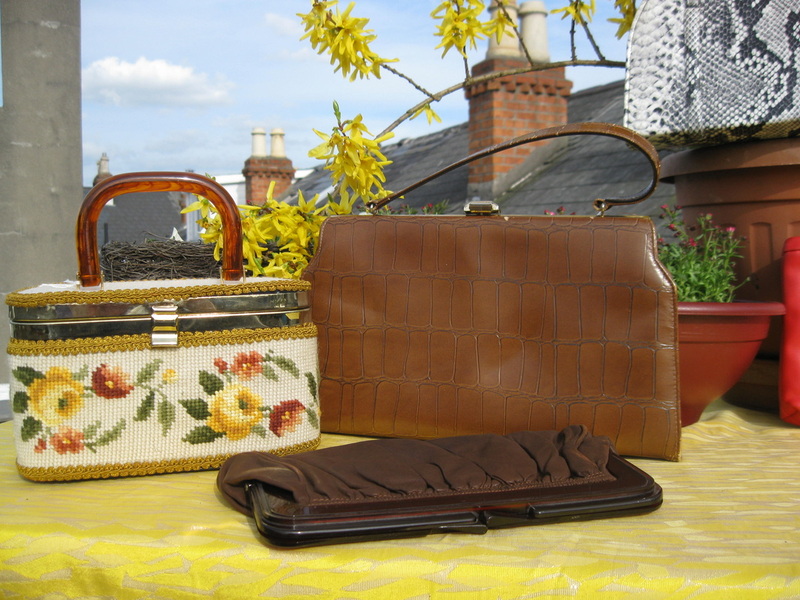 Some of our lovely bags!